What do poker players think about when they are facing a big decision? - Casino Answers! 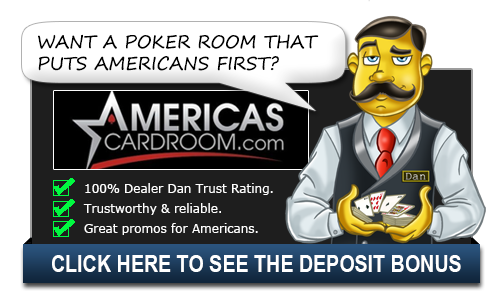 Casino Answers » Poker » Online Poker Beginner Q&A » What do poker players think about when they are facing a big decision? What do poker players think about when they are facing a big decision? When a poker player is facing a major decision that could decide their fate in a cash game or tournament a number of things run through their mind. The most obvious is “Do I have the best hand?” Players have to decide if they think they have the winning hand. In doing so they have to also decide what their opponent could possibly be holding. Players do not attempt to put their opponent on one particular hand, instead they put their opponent on a range of hands. If a player has played particularly strongly, for example a player might put their opponent on a range of hands such as two pair or three of a kind. They then have to decide if their hand can beat the range of hands their opponent may hold. A player might also only have a draw and then they must decide if their draw stands a good chance of making the best hand against their opponents holdings. When a player has decided what chance they have of winning the pot they must look at the size of the pot. If the pot is now 100 dollars and they must pay 25 to call, they need to make sure they have a better than 25% chance of winning, or drawing to the best hand. Likewise, if they are debating a raise they have to decide what chance their opponent has of actually calling the bet, or what might happen if their opponent holds a stronger hand. The players will weigh the odds of them having a hand against the pot odds of calling that hand. Basically, “if I lose will the gamble have been worth it?” That’s a hard question to answer and can change based on the situation, especially in tournaments. Players can also wait and “think” for a long time in hopes of gaining information on their opponent. They could become squeamish or nervous as they wait for the other player to call and this could sniff out a bluff. When it comes to the top professionals, this rarely if ever happens, but with beginners that is definitely something that could come into play. Taking a long time to call or raise a bet can sometimes make other players angry as there is no time limit in poker, but when there is a lot of money at stake a player will take as much time as they think they need to make a decision. While it might not make that player popular, if it helps them win then they really don’t care. Full Tilt Poker poker has a variety of professional players that offer tips and strategies, you can learn a lot just by playing there. The most you can learn from poker though is by playing it. A lot of hands gets you a better understanding of the games. Yes, you should know the basics and you should read as many books as possible but there is no real substitute for experience.